As a pilot with a penchant for lifelong learning, I recently attended a seminar on Crew Resource Management (CRM—sorry, business readers, CRM in this context has nothing to do with salesforce.com) at the Rockcliffe Flying Club. Essentially, its purpose was to show us how to be a better—and safer—pilot by using all the tools available to us. 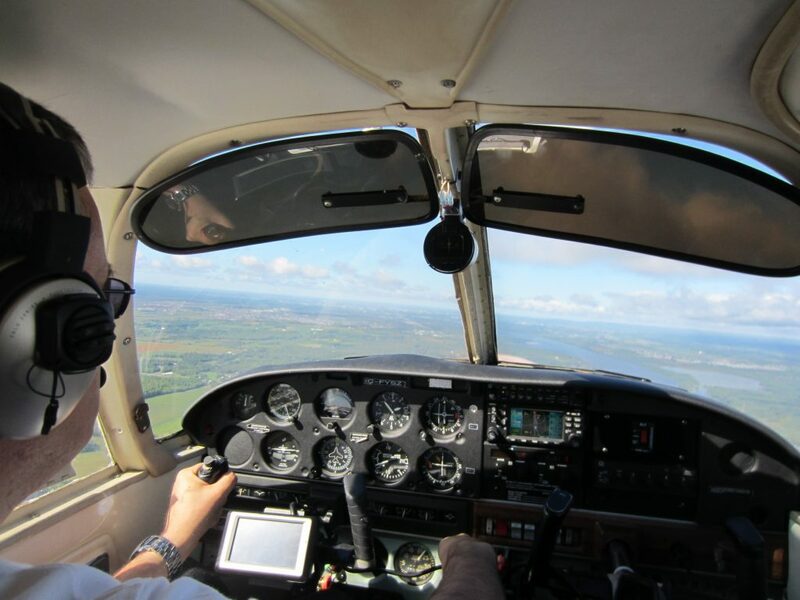 As I sat there, I realized how much this course had to offer me as both a pilot and a business leader. After all, efficient operations are important in both arenas. Even if your business isn’t as heavily regulated as the aviation industry, some simplified versions of the methods used in aviation can apply to just about any business. In the aviation world, CRM focuses on safety, that is, using tools at your disposal to identify, assess and address hazards while mitigating risks. These tools can be adapted and applied to make better decisions in the business environment, as well, to help plan and, if needed, address fires with a cool head. The idea behind this model is that every layer of protection you put in place will have some (hopefully small) holes in it. Unsafe conditions will occur when these holes line up and threats are able to pass the them on every defense levels. The crew’s role, as a last layer of defense, is to identify these conditions before it’s too late. How does that relate to business? When releasing new products, you will catch “bugs” at different development stages before you release the final version to customers. It’s not a role you leave solely to the quality-assurance team. You might find product deficiencies when meeting specific regulatory requirements or as they pass through your internal processes involving different teams as well as beta testers. If you want to deliver products customers will love, quality and attention to detail are key elements that need to be top of mind at every step of the process. In other words, you need to do two things. First, leave as few holes in your cheese slices as possible. Second, make a concerted effort to prevent these holes from aligning. I can already hear you: So, why are there bugs in the products I use every day? Well, I can tell you it’s not because the teams who worked on it didn’t care. Just as zero-risk doesn’t exist in aviation, zero-bug doesn’t exist in products. It’s really a matter of simply reducing the risk—or the bugs—as much as possible, preferably focusing on the big ones first. The aviation industry focuses its attention on the most important areas by using a risk-assessment matrix. The goal is to categorize each potential risk in a two-dimensional matrix, ranking the probability of adverse consequence over time on one axis and the severity of the consequence on the other. For businesses, one way of categorizing the highest severity could be “data loss” or “security hole.” The lowest could be “inconvenience with workaround.” And, instead of looking at the adverse consequences, you could look at the probability of customer impact, that is, how likely is a user to experience that problem? This becomes a very useful way of prioritizing which issues to address while leaving some (again, hopefully, tiny) holes open. What’s your defense against poor communication? When looking at CRM, other elements are also taken into account. For example, it’s important to recognize that there are barriers to effective communication. In multi-national businesses, language itself is often a barrier. Even if your company’s language is English, you should not expect the team members who are not native English speakers to understand your message. They will have different filters that will apply when decoding your message. Their country-specific culture will also have an impact. On top of that, non-verbal communication can transmit a completely different message than what you intended. This is why you need a “defense system.” You might, for example, avoid ambiguous words. In aviation, the word “repeat” is for example banned from the standard phraseology as it can be miss-interpreted (was it intended to the message or the action). The correct wording is “say again” instead. As well, you can be specific and concise and, when in doubt, close the loop the same way air-traffic controllers do when communicating with pilots. That is, get the other party to “say again” their understanding of your message. Pilots also avoid mistakes through the exhaustive use of written checklists or, better still, to-do lists. In a multi-crew environment, this also includes cross-checking everything aloud to make sure nothing has fallen through the cracks. For the checklists that need to be memorized, mnemonics are a good tool to ensure you don’t forget anything. (For example, pilots often use “GUMPS” to remind them to ensure the gas is on the proper tank and the pump is on, the undercarriage is in down position, the mixture on the engine is set, the propeller is configured for landing / the primer is locked, and the switches are all set correctly. Project / product managers often deal with long, interrelated steps, with key dependencies and critical paths. But putting the correct checks in place goes beyond the project manager chasing down everyone to ensure it’s all done. Every core team in an organization must make sure that nothing falls through the cracks. Another aspect is preparation. Although you may not see this when you fly with commercial airlines, a lot of work has gone into preparing the flight. Even pilots of Airbus A380s (a double-deck, wide-body, four-engine jet airliner) conduct what is called a “walk around” before the flight, an extra layer of defense that allows pilots to see if anything looks out of the ordinary. This makes sense in the business world, as well. If you focus on the details and preparation early in the development cycle for example, things will get a lot easier down the line. As just one example if your fundamental documents such as the messaging statement are not strong enough in the beginning, everything derived from it, such as marketing collateral, will not be as powerful as it could have been. Unlike in the airline industry, in businesses, there are rarely dedicated teams focused on post-mortems. Even worse, because of the sheer speed of business, many companies do not even take the time to briefly look back and see what can be learned from the latest product launch, marketing campaign or employee resignation. Learning from organizations such as the National Transportation Safety Board in the USA, it becomes clear that post-mortems are a critical aspect of self-improvement for any company, and need to be conducted in a process-centric way. These post-mortems need to focus not on who’s to blame, but on what can be learned to make it better next time. This article is not intended to be an exhaustive list of things to learn from one specific industry. We all bring our own experiences and areas of expertise when we craft with care products that will delight our customers. While it is important to recognize that our diverse backgrounds will help make a better product, we must also recognize that things can be improved if we keep our eyes open and be prepared to learn from others, no matter what they do or where they are.